Looking for TCS placement papers for your recruitment test? Don’t worry you will find all the tcs previous papers with solutions, tcs written test papers are of moderate difficulty. We have all the TCS Previous Questions from TCS Test Papers. These TCS Previous Question Papers are as observed constantly in each drive of TCS Placement Papers 2018 and all TCS Online Test Papers TCS Previous Year Question Paper, TCS Off Campus Drive Question Papers and On Campus Questions papers, TCS Sample Papers with Solutions PDF, TCS Model Papers with Solutions PDF for Exam, TCS 2018 Placement Papers, TCS Previous Year Papers, TCS Previous Year Question Papers with Solutions PDF, TCS Previous Year Placement Papers, TCS Multiple Choice Questions, TCS C MCQ Questions, TCS Question Paper TCS TNSLPP Anna University Pattern for Off campus 2018. TCS has changed its pattern and even questions bank in 2017 October, . We have the latest questions and the latest pattern updated in May. 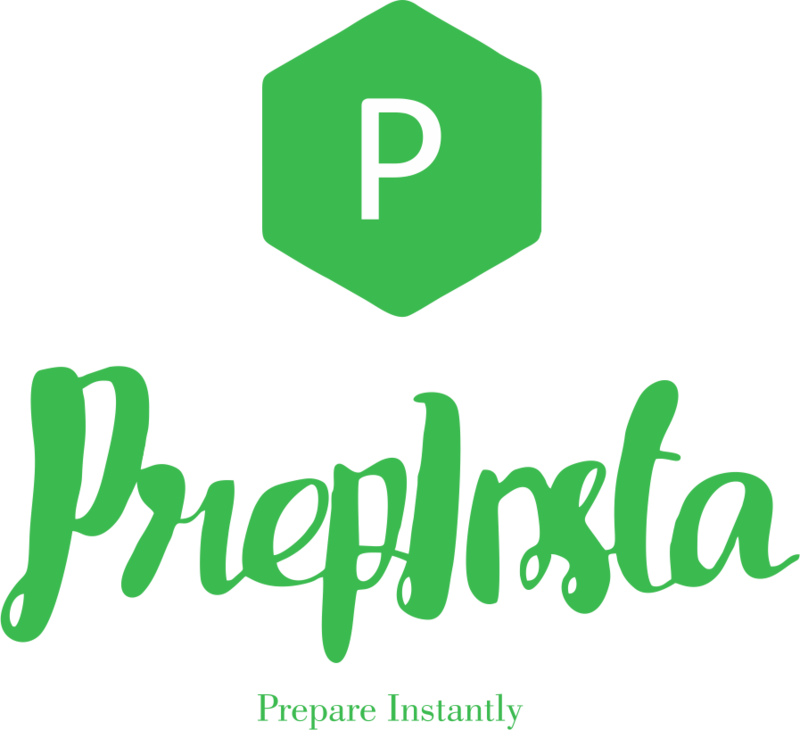 Very Imp Note – There are some websites who are taking advantage of PrepInsta’s hardwork. They have made online live classes of their own by copying our materials, questions and codes. Infact our free materials has more study material than their Online Live classes or material that they give. 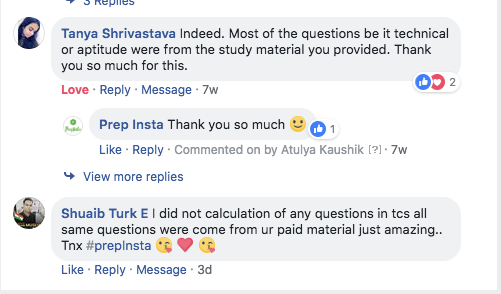 We suggest not to trust anyone but PrepInsta and if you’ve bought the classes for them, attend them and make sure that you ask for refund as on day 1 of online live classes you will realise that our free material has more material than what you will get from them after paying 1000’s of Rs. If you like you can check detailed TCS Syllabus and Pattern here on this page. Star Marked Questions have 2x more marks and have negative marking in tcs online test papers. Our TCS Previous Year Question Papers with Solutions PDF our TCS Programming Logic Dashboard should help you a lot in practice. This topic has just been introduced in TCS and there are 10 questions and the time given is also 10 mins. Go to TCS E-Mail Writing Dashboard. This section is there in TCS Previous Year Question Papers with Solutions PDF. In this section you have to solve a Coding Question in Language of your choice. Number of questions are 1 in 20 mins which is simple and have to code in in-built online compiler in TCS Online Test Papers. Go to TCS Coding Section Dashboard. Find all the Technical Interview Quetions, Managerial and HR round pattern and most asked questions on this dashboard here. Go to TCS Interview Preparation Dashboard. Negative marking is only applicable in the Quants section, English and Programming Logic, there is no negative marking for the Creative Coding section. TCS will hire lesser number of Engineers this year, as there is slow down in hiring trends of all IT companies thus these TCS Previous papers PDF should help you a lot. 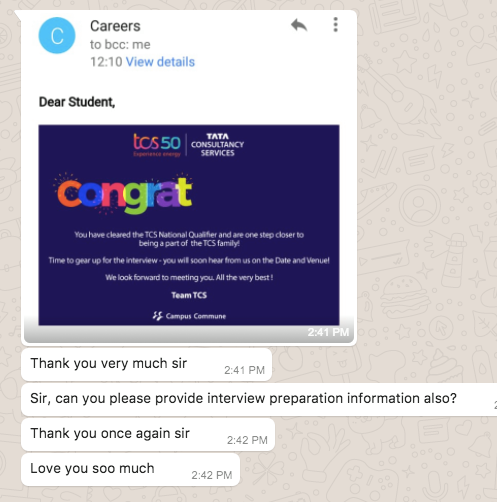 If you want to read more such On campus and Off Campus Interview Experiences you can read them on our TCS Interview Experiences Dashboard here. Coming from a Tier 3 college, I wasn’t expecting a lot of CS companies to visit our Campus. So TCS was one of the Big Companies I was hoping to get selected into. 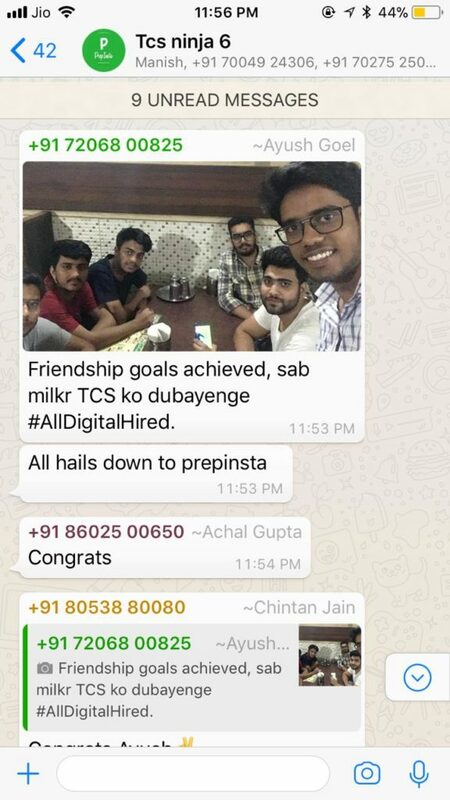 All my seniors had suggested to prepare from PrepInsta for any company including TCS. I had purchased the paid material also, for TCS Previous Year Question Papers with Solutions PDF will recommend others as well to buy since a small amount may land you up in a job in TCS by studying TCS Previous Papers with Solutions and Questions so you clear the first round with ease in TCS Previous Year Questions. TCS Placement Papers 2018 was of very high difficulty as TCS is looking to hire lesser number of Freshers this year due to slow down in the Software Services Industry. This is round is of 10 minutes and 10 questions were there most of them were Fill the Blanks and Sentence Completion Questions. This section has quantitative questions. Please refer previous year TCS papers and prepare. Prepare for TCS specific quant topic, thanks for letting me know PrepInsta. This round is of 20 minutes. It is based on C language and please prepare all the basic concepts of C to clear this section. From This year we didn't have code in Command Line Programming and we could code in any of the following languages - C, C++, Java, Python etc. After TCS Written Round we had this face to face round where you will be tested what you have done in years of your engineering. I had revised my engineering subjects basics. The person interviewing you may ask you your strong subject so please tell the subject that you have prepare well (I told C and Java). I was asked to write a simple program to find all the prime numbers less than a number. I wrote a separate function for prime numbers and used a for loop to check all the numbers less than N, to check if they are prime or not. If they were prime i displayed the number. Then he gave coin weight balance puzzle which i stumbled with but after some clues i understood the problem, but i couldn’t give an accurate solution.The next series of questions was from C, which i managed to answer. 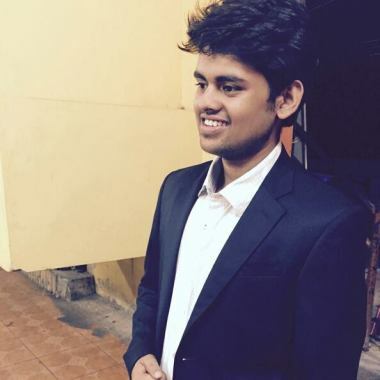 Some of my friends got questions from OS and DBMS too in TCS Previous Year Placement Papers. It depends on your luck, so do prepare subjects like Networks, DBMS, OS, JAVA, C, C++ for tcs off campus placement paper. For Non CS/IT people questions were on projects resume and branch based questions like circuit diagram of project and basic questions, definitions. I was asked about my projects here. I was asked about my interests. My views and ideas of technology was tested. My friends had a few questions from programming here. This round basically checks your attitude and behaviour. Please try to be the person whom you are, if you pretend here ,the recruiters are smart enough to know that. If you don’t know something, then tell you are not sure about it. Also ask any query regarding the company when you are given a chance ,failing to do so will show your lack of interest for the company in TCS 2018 Placement Papers. After TCS Question Paper Round this round will be a round where your knowledge for TCS will be tested. 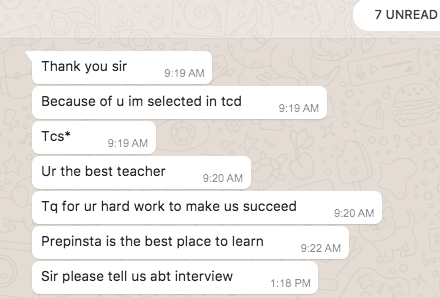 Do prepare your introduction and also about TCS very well. If you had participated in CodeVita or testimony ,please mention that in your introduction. You should be able to convince the HR about why you want to join TCS. Again, try to be yourself here. If had done the other rounds well, then you are mostly in. Ask 1 or queries about the company or your role when you are given the chance.Before leaving, greet the person who was interviewing you and leave. Proper aptitude and 2 week’s preparation is enough to get the job via TCS Previous Year Placement Papers, provided you are determined. I felt the first round to be toughest Solve as much as TCS Previous Year Papers that will be very crucial So, prepare well, all the best! for both tcs off campus placement paper and On Campus Paper. Check this video for the latest TCS Pattern for the year 2018. What all questions can come in tcs exams?? Prepinsta has provided the most favourable topics that can come in TCS Exams with no of questions to practice every topic and achieve a good score in every exam. What is the level of difficulty for TCS Previous Question Papers? Generally in TCS Question Paper from what we have seen that the questions asked in TCS Previous Question Papers are tough and are of high difficulty. We suggest you to do preparation for TCS Exam from PrepInsta’s TCS Placement Papers 2018.
which is the most important section in tcs previous year question paper? 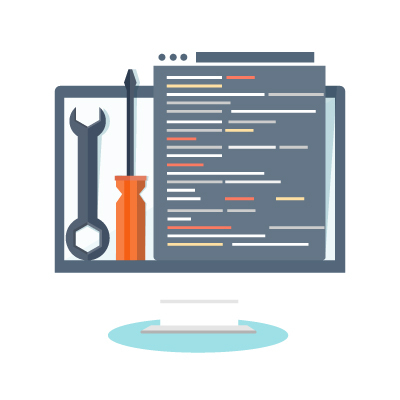 For tcs previous year question paper we will suggest preparing well for the coding section a new Coding section was there in which you could use any language of your choice and last year’s command line programming section has was removed. This year coding will be an important section as TCS looks to higher lesser number of Fresher Graduates via tcs online test papers for Recruitment. What are some most asked TCS Questions? For TCS Previous Year Questions here you can find in descending order the list of most asked TCS Questions Click here. Ask in the comments section below, we will answer :).